An Absence of Measurement: The End of Freedom of Speech in Egypt? Freedom of speech in Egypt may have just taken a devastating hit. On June 2, 2014, Egyptian political comedian Dr. Bassem Youssef announced the cancellation of his wildly popular political satire show, Al-Barnameg (“The Program” in Arabic), suggesting that he no longer felt safe criticizing Egyptian politics and government. Dr. Youssef was a cardio surgeon who gave up his lucrative career to film YouTube videos from his laundry room, satirizing the turbulent Egyptian political climate during the fall of Hosni Mubarak during the Arab Spring of 2011. Dr. Youssef’s homemade satire show became so popular that, in only its first three months, it accumulated millions of views on his YouTube channel. Eventually, when the political climate “stabilized,” Dr. Youssef was offered his own TV show with a live audience – the first and only of its kind in Egypt – on the Egyptian network CBC. Al-Barnameg has most recently broadcast from MBC Misr, another major Egyptian television network. Dr. Youssef’s charisma and original approach to explaining and analyzing Egyptian politics, which has earned him the nickname “the Jon Stewart of Egypt,” was so well received by the Egyptian public after decades of political oppression that he has since become a national hero (click here to see Dr. Youssef’s interview with Jon Stewart in 2013). He has millions of fans all over the world and was also named as one of Time Magazine’s 100 Most Influential Men of 2013. But on the next day, June 3, Youssef’s announcement was seemingly forgotten. Al Barnameg’s cancellation was overshadowed by the published results of the Egyptian presidential election, in which former Egyptian Defense Minister Abdel Fattah al-Sisi won with a controversial 96% of the vote. The election was called in the last month, a little less than a year after the coup that ousted democratically elected Mohammed Morsi and discredited and banned the Muslim Brotherhood political party and religious group. The last few years of political turmoil in Egypt have made every one of the numerous elections a hotbed of both hope and controversy. The month leading up to this election was no different. Vast numbers of Egyptian political groups refused to vote, despite government incentives. Al-Sisi’s only opponent, Hamdeen Sabehy, received a dubious 3.9% of the vote, which begs the question if the election was conducted properly. Sabehy himself claimed that his campaign representatives were attacked during the three-day elections, and he questioned the credibility of the results. Even the White House announced in a statement that, while it supported al-Sisi in his win, it had “concerns about the restrictive political environment in which the election took place.” And yet, al-Sisi has still become the official new President of Egypt. But the concern of this article is not whether al-Sisi has just been named President to a dubious democracy, nor whether his military ties and strong-arm tactics will catapult Egypt back into a military-ruled regime reminiscent of those many repressive years under Mubarak. The question is why Dr. Youssef is canceling his show now, the day before al-Sisi is declared the new President of Egypt. The question is whether the Egyptian government, led by al-Sisi, is taking away the right to freedom of speech. Dr. Youssef and Al-Barnameg represented an expression of this “right,” whose existence has been debatable in Egypt throughout the last few years of political turbulence. He has criticized the Egyptian government through the rise and fall of two coups and constant political instability. He has retained the loyalty of his millions of fans from all over the world and the (perhaps sometimes shaky) support of Egyptian news networks. People began to refer to Al-Barnameg as “the barometer of free speech in Egypt” because Dr. Youssef’s ability to broadcast his opinions on national television was proof that Egypt was advancing on the path to democracy. It was proof that the government, regardless of its recent instability, was allowing the networks to broadcast political criticism. It makes sense that the recent election results and the controversy surrounding them might overshadow the cancellation of a popular satire show. But the timing of and reasons for Al-Barnameg’s cancellation should have raised some red flags. Back in May, when the upcoming presidential election was declared, the show announced a month-long “vacation.” This hiatus was allegedly put in place to keep the Egyptian public from being influenced by the program’s critical views until the election was over. But no one knew who exactly had called for this hiatus, and no one seemed concerned that an unknown entity had temporarily silenced Dr. Youssef’s political commentary during this election. These were the first signs that something was wrong. And then, instead of coming back from the hiatus after the election as everyone expected, Al-Barnameg was simply cancelled. Given Dr. Youssef’s history, it should also have come as quite a shock to both the Egyptian public and the world that he decided to cancel his program due to safety reasons. He has never seemed to worry about his safety in the past, as he has bravely continued to broadcast his satire shows no matter the political climate. He has embraced his role as the voice of the people in the name of their rights. Even when the government arrested him in 2013, he mocked the legitimacy of the arrest and was eventually set free. Why is he suddenly concerned for his safety when he has mocked it in the past? There is no actual proof that Dr. Youssef has been threatened by anyone, but I am of the opinion that the same shadowy figure that forced Al-Barnameg into hiatus is also pressuring Dr. Youssef to finally quiet what has been an exceptionally strong voice for the people. The cancellation of Al-Barnameg cannot be left to fall by the wayside. The timing of the cancellation and Dr. Youssef’s declaration of fear for his safety cannot be forgotten and overshadowed by al-Sisi’s controversial election. Dr. Youssef’s precedent for measuring the freedom of speech and his conviction that the people have a right to criticize a government are too important to be marginalized by whatever secretive forces are at work in the sunrise of al-Sisi’s administration. It would be a shame if Egypt’s recent progress towards granting basic rights to its people – basic rights such as freedom of speech and freedom of the press – regressed because of new governmental leadership. Checklist: Has President Rouhani Lived Up to his Promises? In early June, newly-elected Iranian president Hassan Rouhani, a moderate in comparison to his hard-line predecessor Mouhmad Ahmadinejad,emerged as a symbol of hope for a citizenry burdened by a catastrophic financial crisis brought on by Western sanctions. Prior to beginning his term, Rouhani vowed to direct governmental efforts towards mending Iran’s shattered relations with the West, reviving the Iranian economy, and articulating a desire to restore basic human rights within the country. While the new leader was warmly met by the eager masses ready to move past the repressive Ahmadinejad era, there was no telling whether his words would bear fruit. Rouhani’s potential to affect such change was eclipsed by a shadow of doubt stemming from the supposition that he would serve as merely yet another slave to Supreme Leader Ayatollah Khamenei and his Islamic regime. So has Iran’s “angel” Rouhani upheld his rhetoric presented during his campaign since entering office? Now, more than 6 months into his presidency, the gulf between his words and actions can be qualitatively tracked. How has Rouhani performed thus far in winning the favor of governmental hardliners while working towards his progressive reform plans? At the start of his presidency, Rouhani took initiative to begin thawing strained US-Iran relations with a visit to the United Nations. You may recall his fifteen-minute phone call with President Obama during the trip, a call that garnered both support and criticism. Regardless of the critics, this phone call was a huge first step in the right direction towards reconciling US-Iran relations considering that the two states have not shared this level of contact since the 1979 Iranian Revolution. Furthermore, Khamenei approved of Rouhani’s October trip to the United States. Although unable to appease hard-liners on the issue as they derided his approach, as long as the President is able to maintain the Supreme Leader’s support, he will be able to ward off hard-liner criticisms in his advances towards a relaxed relationship with the West. During his reign thus far, Rouhani has been performing a careful balancing act; he has struck a careful balance between the hardline and reformist camps while avoiding alienating Khamenei and other key government players. The new President has successfully garnered and maintained support from notable predecessors, including popular former reformist President Mohammad Khatami and former President Akbar Rafsanjani, one of the pillars of the 1979 Iranian Revolution, who remarked that “Rouhani’s success in New York is the mark of the divine victory.” Although not to the degree which former president Khatami was able to mobilize the “Iranian street,” Rouhani seems to have been met with considerable success in galvanizing the reformist camp, namely the youth who have warmly accepted his overtures to reduce Internet censorship. Perhaps his most significant achievement thus far has been unveiled at the negotiation table with Western powers. Back in November, Rouhani was able to successfully reach a temporary deal with the United States while entering into a year-long negotiation period to construct a permanent deal to ease sanctions. The $7-billion USD received by Iran in sanctions relief created room for a rise in the Iranian Rial and a minor stabilization of the national economy. Both the initial agreement and the overtures by both parties have been called nothing short of “historic” in the media. As mentioned, some of the easing of sanctions has seen a rise in the purchasing power of the Rial thereby providing Iranian citizens with some relief. Analyst groups claim that “last year, with economic pressure at its peak, Iran suffered from severe hyperinflation, and the Rial became the least valued currency in the world. This is no longer the case, as the Rial has gained significant value in 2013’. However, further economic steps must be made; the nuclear deal with the West has yet to come into full form, and whether Obama will be able to convince Congress to further repeal sanctions will prove to be a major determinant of whether Rouhani’s reform efforts retain momentum. The human rights issue is arguably the weakest front of Rouhani’s presidency thus far. The leader’s promises on this subject seem to be little more than empty rhetoric, as notable action has yet to be taken to restore basic human rights and create equality among members of the citizenry. Premature optimism for Rouhani to improve civil rights issues has all but withered as the only observable change has been a steep rise in executions since he took office. Another warning sign in his term stems from the detainment of prisoners within the country. The government’s minor gesture of releasing a few political prisoners in December did little to placate the mounting concerns of relatives and families of those still imprisoned, including activists of the “Iranian Street.” Additionally, despite early promises to address the house arrests of Green Revolution leaders Kharibi and Mousavi’s house arrests, not even a mention of the issue has been made. The president has remained silent even amidst mounting claims from close family and friends that their health is deteriorating significantly as a result of being confined within their households for several years now. Whether Rouhani’s strategy to maintain popular support follows that of his predecessor Khatami’s path remains to be seen. In the middle of Khatami’s second term, his base fell apart due to youth and women disenfranchisement. Rouhani’s track record on human rights and freedoms may very well be what determines his support from his base. Despite his shortcomings on the human rights dilemma, Rouhani’s successes have provided the Iranian regime with some degree of legitimacy it had been lacking for years, both in the eyes of the international community and the Iranian electorate. The real question for the Obama administration, however, is whether the Rouhani government’s newfound political capital and prestige is enough to placate conservative Hawks in Congress on both sides of the aisle who have been itching to introduce further sanctions. Any new congressional sanctions against Iran would not only spell the end of the current deal but would most likely set back nuclear negotiations by a number of years. Yet Rouhani, a veteran statesman and diplomat, is keenly aware that the halls of Congress are just as significant an arena for statecraft and diplomacy as the negotiating table. Rouhani’s foreign minister Javad Zarif has recently made a concerted effort to promote lobbying of their position to Congress via the small-but-growing Iranian-American lobby already present in the country.We will know soon enough how far Rouhani is willing to go to make good on his campaign promises in seeking to uplift the Iranian state. Between September 1793 and July 1794, the National Convention of France operated a “Reign of Terror” defined by the mass execution of potential counterrevolutionaries in the name of national peace. One of the proponents of governing through terror, Maximilien Robespierre, argued: “terror is nothing else than justice, prompt, severe, inflexible [and that] the government in a revolution is the despotism of liberty against tyranny.” In other words, the government may suspend the inalienable rights of its citizens in times of crisis. The ends (peace) justify the means (terror). On September 14, 2001, the United States Congress expanded the constitutional powers of the executive branch to include the legal authority “to retaliate against any person, organization, or State suspected of involvement in terrorist attacks on the United States, but also against foreign States suspected of harboring or supporting such organizations. Finally, the President may deploy military force preemptively against terrorist organizations or the States that harbor or support them, whether or not they can be linked to the specific terrorist incidents of September 11.” Post-9/11 national security laws have allowed for a permanent retaliatory war with unclear operational and legal boundaries. The “Global War on Terror” certainly requires an extraordinary military response; the list of “legal” military responses has grown to include drone strikes and Joint Special Operations Command (JSOC) missions on potential terrorists in foreign states, states which Congress has not declared war on. The president may suspend the constitutional rights of citizens (by Amendments V and VI of the US Constitution ) and non-citizens (by Articles 3 and 10 of the Universal Declaration of Human Rights), in the name of peace. Once again, the ends justify the means. Drone strikes and JSOC missions are both morally and legally questionable as evidenced by the intentional killing of American citizen Abdulrahman al-Awlaki, a 16-year old civilian living in Yemen, who was killed as punishment for his father’s (Anwar al-Awlaki) crimes and for who he might become—a terrorist made in his father’s image. Furthermore, these missions have a negative impact on America’s ability to effectively engage in diplomacy because of the anti-American distrust and resentment that grows in targeted regions. (1) Yes, US drones possess deadly accuracy on selected targets and spare the endangerment of US troops in volatile regions such as the Afghani-Pakistani border. However, despite their precision, drone strikes, night raids, constant aerial surveillance—and most dramatically, the killing of innocent civilians—only fuel greater anti-American sentiment. Terrorism is as rampant and threatening as ever. Al-Qaeda and its global affiliates are expanding in spite of successful US operations to kill top commanders. America needs to “win hearts and minds”—drone strikes do not accomplish this goal. (2) True, President Obama has never advocated the killing of civilians. In fact, he has publicly expressed regret about civilian causalities in war zones. But as in every conflict, civilians have died and the constant threat of a bellicose America is terrorizing people around the world. Exploded missile fragments can be found near kill sites in Somalia, Yemen, and Pakistan; to those finding these ordinances, the “Made in America” message is clear. Children in Pakistan have grown accustom to drone flyovers and are left wondering “am I next?” The CIA’s East African kill list has been contracted to Somali warlords. Perhaps the mother of all surprises has stemmed from Obama’s willingness to detain foreign journalists who speak out about errant American strikes. This is not a covert “Global War on Terror.” Citizens of Mali, Thailand, Panama, Yemen, and more than 70 other countries know all too well that they may become the next in a long line of unsuspecting victims, and from their perspective, America is to blame. (3) Yes, war is ugly. 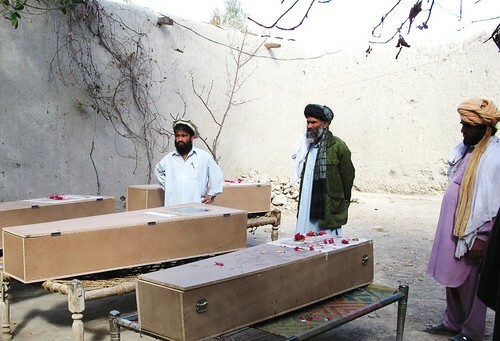 Soldiers and civilians die at the hands of Allied and insurgent forces. Millions have been displaced. However, murdering—via drone strikes—over 400 innocent civilians in Pakistan is unacceptable, as is the murdering of American citizens abroad. And committing murder in the name of ending murder is nonsensical. But killing without oversight is undermining the very moral and legal fiber of the United States (not to mention bilateral relations with countries in which drone strikes have occurred) and international institutions such as the United Nations—the very institution established to end unchecked killing. Update 11/4/13: correction made to the caption for accompanying photograph. China is faced with an internal migration crisis, the scale of which cannot be ignored. In 2012, China’s internal migratory population (both inter- and intra-provincial) exceeded 250 million people. Within that population, those without household registration—effectively illegal aliens within their own nation—known as China’s “floating population” (流动人口), exceed 160 million. Predominantly rural-to-urban migrants moving to the industrial centers of China’s eastern seaboard, this “floating population” is the disadvantaged lifeblood of the Chinese economy. Since the explosion of internal migration in the 1980s, China’s economy has triumphed (albeit at the expense of the environment), enjoying GDP growth in excess of 10% a year. The government too has implemented sweeping economic reforms to allow for greater growth of both state and private industries. The rich have gotten richer (China is second only to the US in the number of billionaires), and a substantial middle class has emerged (roughly 300 millions citizens). , Yet little has been done for a migratory population larger than the populations of Germany, UK, France, and Italy – combined! They suffer the highest rates of HIV, illiteracy, and crime in China. Their estimated 37 million children are severely undereducated. The government’s current system is clearly broken, but why? And why isn’t the government helping? 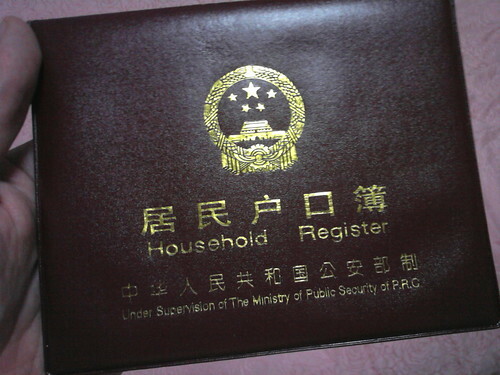 The migration crisis is exacerbated by an outdated household registration policy, known in Mandarin as hukou (户口). Promulgated in 1958 by Chairman Mao, hukou operated as a method of controlling the labor force of China. Further, like the Soviet propiska system, hukou served as an internal passport, categorizing citizens as ‘rural’ or ‘urban’, ‘farmer’ or ‘intelligentsia’. Mao was keen on tracking potential dissidents, but moreover preventing mass migration of the peasantry to the industrializing cities. Rural citizens who moved and worked in urban neighborhoods were deemed illegal aliens and denied any welfare privileges associated with citizenship. Since the era of Deng Xiaoping, the pace of economic liberalization has been brisk, yet liberalization of labor policy has lagged behind. The Politburo rightly feared that if the poor migrated to the cities in droves, civic institutions would be placed under tremendous financial stress—stress to provide adequate health care, education, water, etc. to an increasingly congested urban environment. Several reforms notwithstanding, (such as allowing inheritance of hukou to pass from father and/or mother, as opposed to solely the father, and temporary urban residency permits for migrants), migration policy is remarkably similar to what it was in 1958. The results are catastrophic for the more than 160 million “floating” workers in the urban areas of China. They live without any civil protection from the state, while employers and the state profit from their “illegal” labor. Why has the government failed to act on the cries of their main labor force? The answer can be divided into two parts. The first, and most blunt point, is that the People’s Republic of China is an oppressive state. The government frequently incurs human rights violations, including denying migrants health insurance, jailing dissidents, censoring the Internet, and preventing religious freedom. Although the economy has liberalized significantly, much of China’s rule of law remains backward. The second reason is that the government still shares Mao’s fears from 1958: the abolishment of the hukou system could lead to mass migration from rural areas and strain on urban areas. The sheer cost of providing social services to an additional 160 million people frightens the government from attempting any serious reform. Urban centers like Beijing, Shanghai, and Shenzhen are already suffering from the side effects of overpopulation. From where would the money and space to educate, treat, and train 160 million people come? So why doesn’t China’s “floating population” protest and demand an end to internationally recognized human rights abuses? In part, because in many cities, migrants have indeed succeeded in acquiring wage increases and safer working conditions. The government continues to provide sufficient improvements to the workers just to prevent a nationwide revolt (e.g., Chengdu has eliminated urban welfare barriers as of 2012). In addition, the workers are terrified that challenging the state could result in physical or financial harm for them and their loved ones. In an age where an increasing number of Chinese are connected to social media (and able to bypass government controls), will China experience an “Arab Spring”-esque event? Or will the state continue to restrict the benefits to migrants, leaving INGOs (international non-governmental organizations) to provide essential social services to China’s labor force? Unfortunately for those suffering from this crisis, and the estimated 100 million additional rural-to-urban migrants expected by 2020, there is no clear answer.